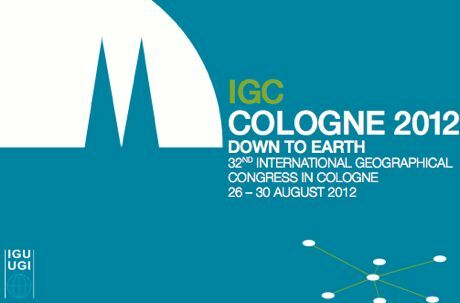 Yesterday, on Keynote by “Society and Environment”on the 32nd International Geographical Congress (IGC2012), the prof. Anne Buttimer spoke about the relationship between the society and the environment. For her, questions about these two actors have always been central concerns for geography (Gaia-graphein). One of the definition of geography as the study of spatial interactions, said. She is Professor of Geography at the University of Dublin since 1991. Studied Latin, Mathematics and Geography before earning his doctorate in geography at the University of Washington (Seattle) in 1965 and has since taught at Belgium, Canada, France, Scotland, Sweden and the United States. She spoke of the cognitive levels, which covers the knowledge, perceptions and values​​; the noosphere functional interaction between industry and social organization, and also spoke of the socio-technosphere and biosphere, linking the place and resources. She commented of human interests associated with each of these levels, of these perspectives. “The identity of the noosphere, the social order with the technosphere, and the niche with the biosphere.” Each of these three interests with different time scales (past, present and / or future). For her, recent conceptions of an evolving universe–including its noosphere–as in states of becoming pose exciting challenges for Gaia-graphein. Esta entrada fue publicada en News y etiquetada 32nd International Geographical Congress, Alemania, Anne Buttimer, biosfera, biosphere, Cologne, Dublin, environment, Gaia-graphein, geógrafo, geografia, geography, Germany, igc2012, keynote, medio ambiente, noosfera, noosphere, Seattle, sociedad, society, technosphere, tecnosfera, University of Cologne por cipereira. Guarda enlace permanente.